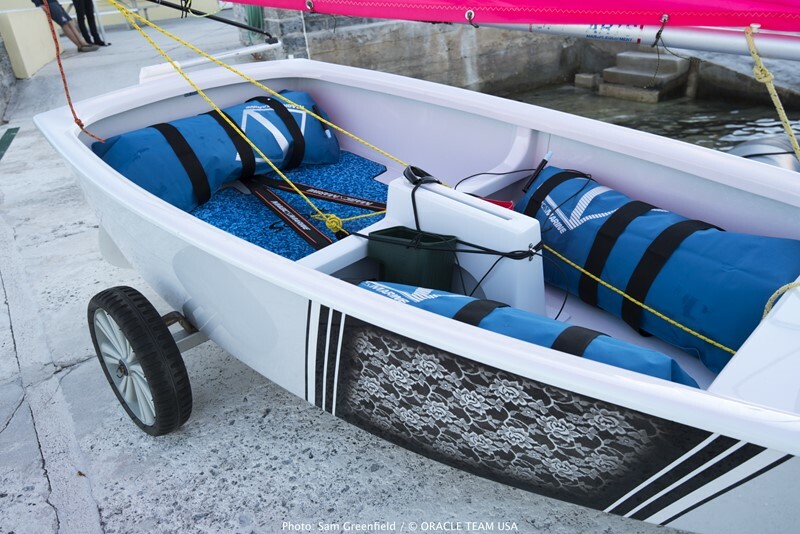 On Friday afternoon, Oracle Team USA donated a second batch of 15 Optimist dinghies to a Bermuda sailing club. The boats have been completely refurbished to ‘better than new’ condition by the Oracle Team USA boat-builders after being rescued from the scrap heap, and were donated to Sandys Boat Club. In total, the team has now re-built 30 Optimist dinghies at its base in Bermuda and donated them to youth sailing projects, with support from the America’s Cup Endeavour youth education and sailing program and its partners. “I’ve always said we have the best shore-side operation in the America’s Cup and our boat-builders have demonstrated that with this effort,” said skipper Jimmy Spithill. Oracle Team USA’s boat-building crew is led by Mark Turner, an America’s Cup veteran who has overseen the build program for the last two America’s Cup winning boats. He says the professional skills the boat-builders have honed in building and maintaining America’s Cup boats were put to use in refurbishing the Optimists. The Oracle Team USA boat-builders who contributed their time and skills to the Optimist refurbishment are: Ben English, Joe Iheureux, Dallas Willcut, Jared Spiller, Adam Rosewarne, Fred Brodzinski, Tim Charters, Matthew Hynes, and Mike Rolfing. 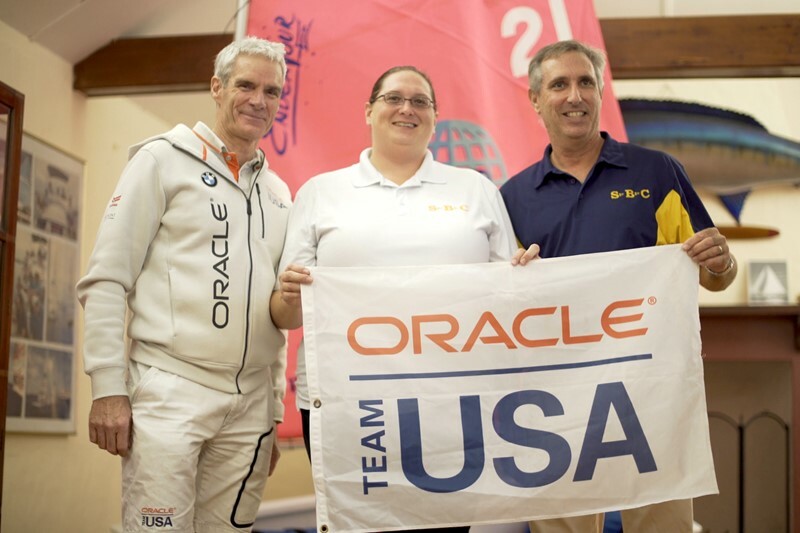 In February of this year, Oracle Team USA donated a first batch of 15 Optimist dinghies to the America’s Cup Endeavour program for use by its graduates. Those boats – in various states of disrepair – had been given to the program by the Royal Hamilton Amateur Dinghy Club. Oracle Team USA’s boat-builders invested significant time and resources in bringing them up to ‘better than new’ condition. 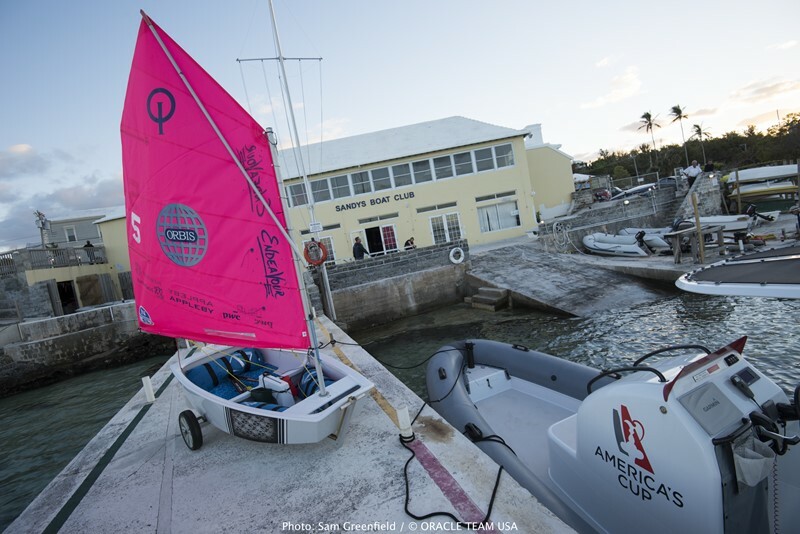 Several of those boats were sailed by America’s Cup Endeavour graduates in the recent Bermuda Optimist Dinghy National Championships. 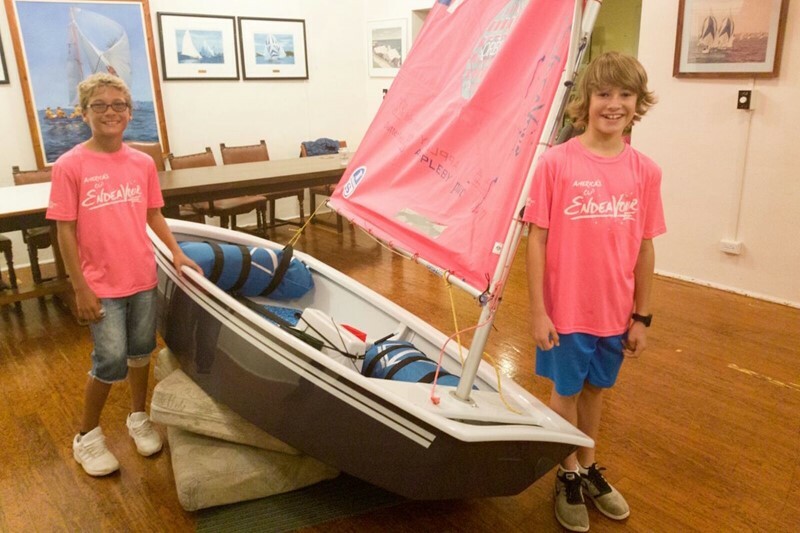 This second batch of Optimist dinghies came from Sandys Boat Club, and were severely damaged in the two hurricanes that struck Bermuda in 2014. 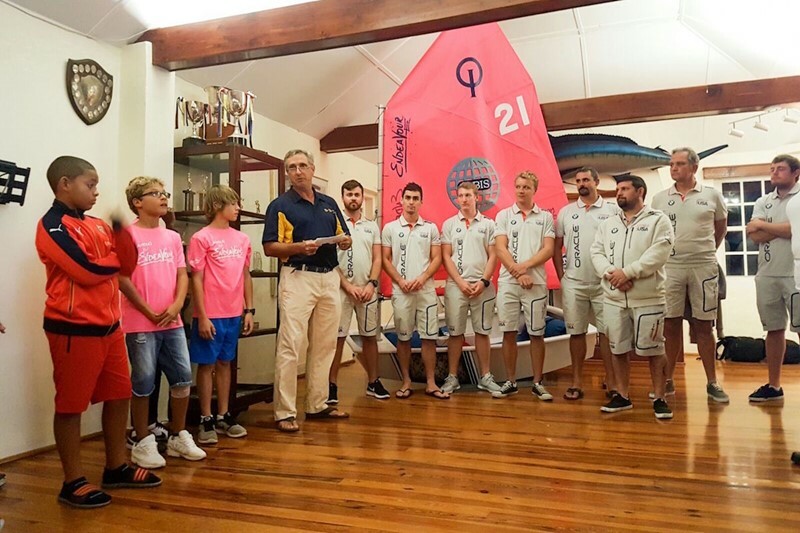 “This will have a huge impact on the rejuvenation and sustainability of our Junior Sailing Programme,” said Martin Siese, Past Commodore and Club Sailing Coordinator for Sandys Boat Club. “One of our main stumbling blocks to restarting our Junior programme was the condition of our boats, and the huge amount of work that would be required to get them ready to sail. “Most of these boats were 20 years old. We effectively now have 15 ‘as new’ boats, so that stumbling block has been removed for us by Oracle Team USA. The Optimist refurbishment project has also been supported by North Sails, Harken, Magic Marine, SeaDek, and Dynamic Dollies, all of whom also support America’s Cup Endeavour. You can’t put a dollar value on effort & goodwill like this. Thankyou & well done to Oracle. Thank you team Oracle for all that you bring as guests, neighbors and friends. A wonderful example of AC35 participating in our Bermuda community and making it a better place – one boat at a time, one sailor at a time. 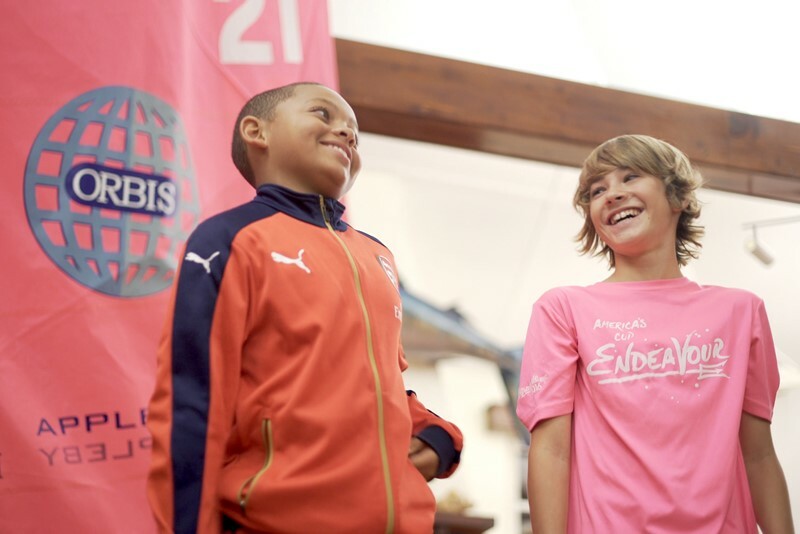 We cannot begin to appreciate the efforts AC is putting into the youth of Bermuda! Just having 1 boat restored means several of our youth can participate in sailing! 15 boats is amazing! Thank you, thank you, thank you, AC!! !